New Year’s Eve fireworks tickets are on sale NOW! 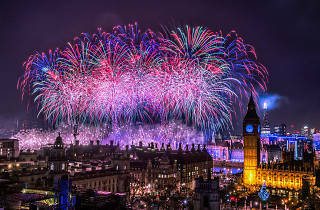 Worldwide icon-chevron-right Europe icon-chevron-right United Kingdom icon-chevron-right England icon-chevron-right London icon-chevron-right New Year’s Eve fireworks tickets are on sale NOW! Hands up super-organised people! Most of us have only just got our heads around the fact that it's October, but if you're already thinking ahead to New Year's Eve, we've got big news for you. Tickets for the New Year's Eve fireworks display go on sale at noon this Friday, October 21. You'll be able to buy up to four tickets per person and tickets will be £10 each. 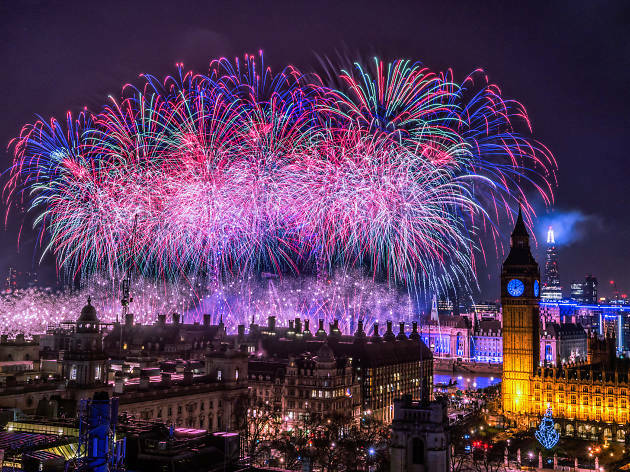 This is the third time the event has been ticketed, and they always sell out pretty swiftly, so if you've got your heart set on seeing in 2017 watching fireworks (along with about 113,000 other people), be ready to snap up a ticket on Friday. And hey, if you don't manage to get one, you can always watch it on TV. Sure, it might not have quite the same atmosphere but at least you'll be warm. Find out more info and get tickets on Friday here.